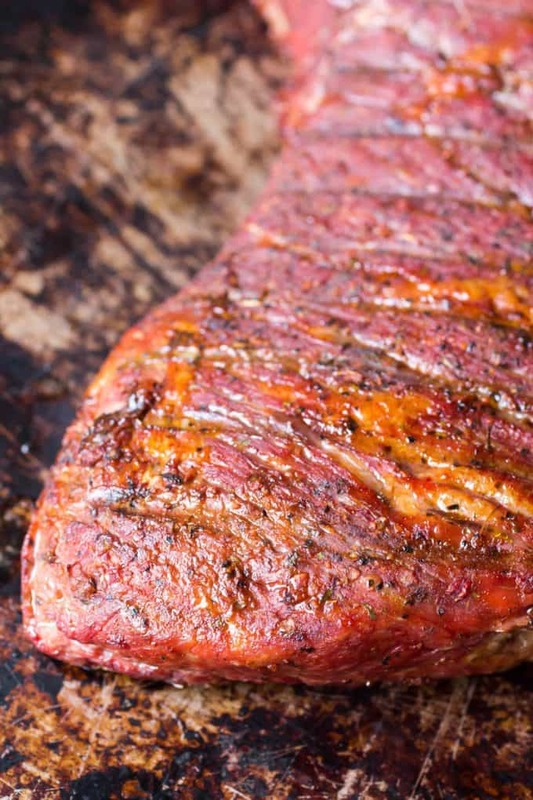 Our Traeger smoked tri-tip is tender, juicy, and a great “quick” barbecue meal. This one is done in under two hours, which is lightning-fast in barbecue land. This post was sponsored by Elanco. All opinions are my own. 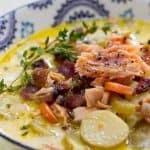 Visit The Truth About Food website for more information. Lately, I’ve been into barbecue. Like, really into bbq. I’m using my Traeger for everything; from ribs and pork roast, to beef brisket and beef short ribs. My favorite bacon is Traeger bacon. Chicken wings? You’ll always skip the frier now. We’ve even made easy chicken fajitas on the Traeger. I love BBQ sauce too. 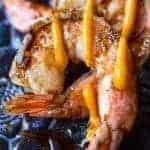 The only trouble with barbecuing every day is the fact that the time it takes to properly barbecue most things is not available to me, and I’m sure most people can relate to the age-old adage; I wish I had more time. 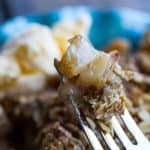 Well, I think I’ve found the cut of meat that satisfies the BBQ craving and solves the crunch for time at the same time. With a prep time of five minutes and a total cook time of one and a half hours, I present to you the Traeger Tri-Tip. Please don’t think I am presenting this as barbecue, although it might qualify as defined by the Merriam-Webster dictionary. Most people agree that barbecue means slow and low. 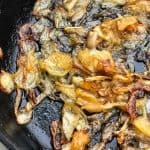 With this recipe, you are getting the wood-fired aspect and the great smoke flavor, but this is cooked relatively fast and at a higher temperature. I’ll settle for barbecue-ish, but in my eyes, it’s barbecue plus. Why the plus, you might ask? Well, you get all the smokey goodness of barbecue, along with the tenderness of the meat, but then to top it off, that tender, smokey meat is served medium rare. Let’s talk about that medium-rare meat for a minute. Not overcooking this cut is crucial to it turning out tender and juicy, as opposed to tough and dry if you let it go too long on the Traeger. 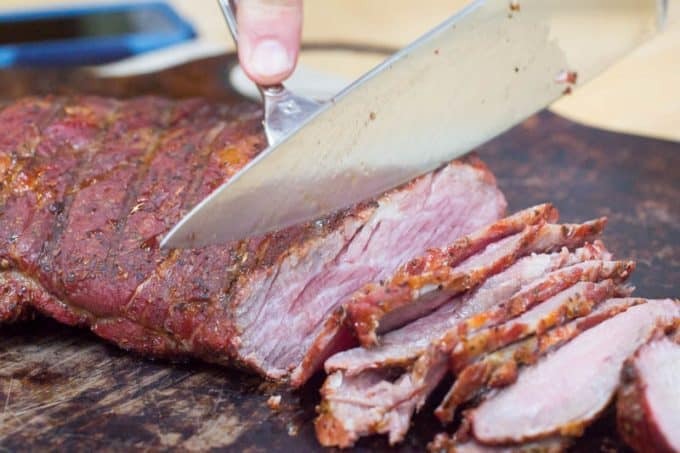 The Tri-Tip is fickle and if you’re adverse to medium rare meat, then this might not be the cut for you. If you can handle some pink, then you’ll be in heaven when you try this recipe. Side note on the Traeger grill. Die-hard Traeger users simply refer to them as the T. I want to use that so bad, but I don’t feel quite worthy yet. Some of the guys and gals that use Traeger grills have been doing so for decades. 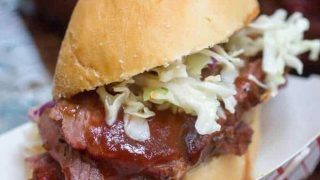 Now, depending on what part of the country you’re from, you may or may not have had much exposure to the Tri-Tip. Living in Washington state I just assumed everyone liked them and they were popular in most states. However, after having recently visited Amarillo, Texas, I learned that not all cuts of meat are as popular in other states as they are here. I learned in Texas that the ribeye is king and the Tri-Tip is generally overlooked. 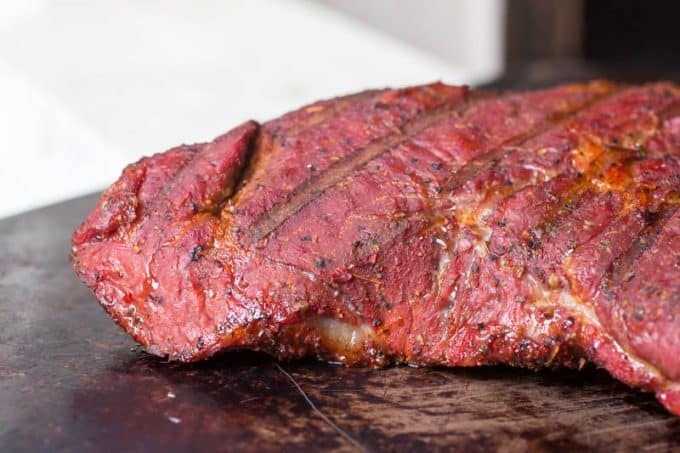 Now the state of Texas is great and the people who live there are truly some of the most gracious, humble, and hardworking Americans you will find anywhere, but they need to realize that they’re missing out on this cut of meat. 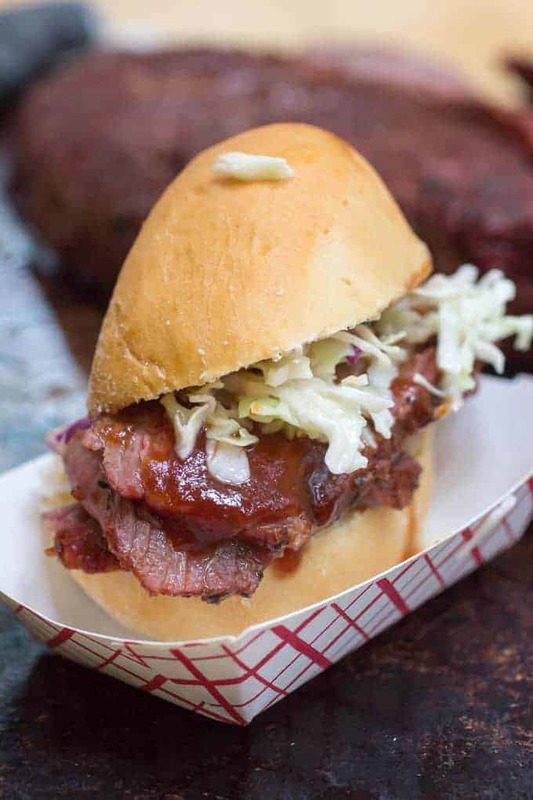 What’s really strange about it is that Texans are hooked on brisket. I know if they tried this recipe on a Traeger grill I could convert at least a couple million of them. Speaking of Texas, I want to tell you guys a little bit more about my trip there and some of the experiences I had while I was in Amarillo. 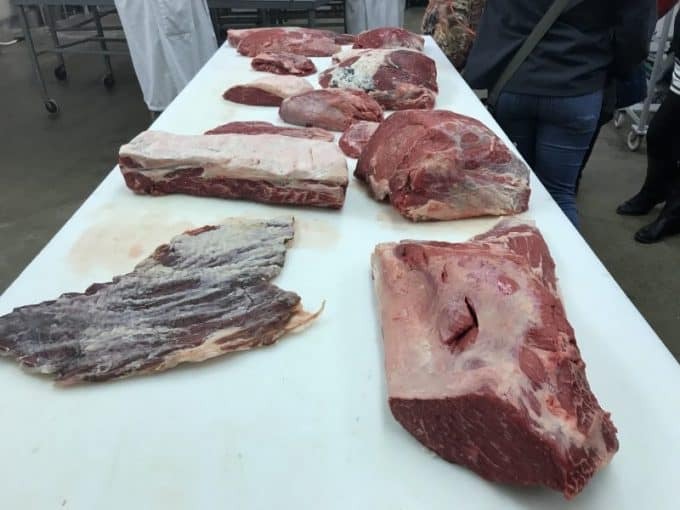 While I was there, I had the opportunity to visit the West Texas A&M University Meat Lab, meet with representatives from Friona Industries and visit one of their feedlots. I’ve always had a decent concept of what farm to table meant as I spent my early childhood living on a small hobby farm in rural Minnesota where we had chickens, goats, geese and even raised two cows for butcher. I have hunted and fished my whole life, so I have killed, cleaned, and cooked my own food. I’ve often wondered how the American farmers and ranchers are able to feed 350 million Americans and millions more all around the world. First of all, you need to have people that know how to do it. The people at Friona Industries were knowledgeable, informative, and most important, transparent. They answered all of our questions about the feedlots, like how and what the animals are fed. We also learned about how the cattle are cared for by all the men and women at Friona Industries through stewardship practices that ensure the animals are treated humanely, fed well, and treated for sickness only when needed. I was especially surprised to find out that the cattle at the feedlots were not all given antibiotics. In fact, only about two percent are given antibiotics while at the feedlot, and only when necessary. The good people from Elanco were especially helpful with information about the antibiotics they supply to the beef cattle industry. If you have a dog or a cat that has been prescribed medicine from your veterinarian, chances are it was one of Elanco’s many medicines that are given to help heal or save the lives of people’s cherished pets every day. The sick cattle are sent to the “hospital” at the lot and when it is determined the animals need to have medicine to have any chance to make it back into the pens with the other healthy cows, then and only then does the veterinarian administer antibiotics. The production of the drugs is administered and regulated by the FDA, which is the same governmental agency that regulates the drugs you or I would take if our doctor prescribed them to us. 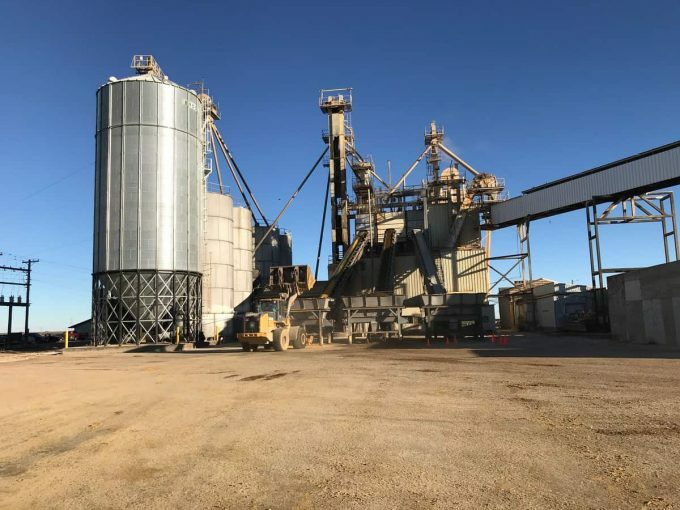 After meeting the people and talking about and learning things about animal husbandry and the cattle industry, we were able to go out to the Swisher County feed yard and see the whole operation for ourselves. Feedyard manager Trevor Peterson and assistant manager Clif Yeary gave us a full tour of the feed yard and all 85,000 head of cattle. We had unrestricted access to the whole yard. Most people can talk the talk, but few can actually walk the talk. We saw healthy, well-fed cattle with plenty of room to move around in all the very clean pens. When we viewed the pens containing the sick cattle there were less than 100 out of 85,000 being treated with drugs. Everything I saw that day confirmed what I already believed. The men and women in the beef cattle industry work hard every day to care for and raise the animals that will eventually end up on our dinner plate. Good animal husbandry, proper diet, and overall excellent management of the animals results in better tasting and higher quality beef. Click on the link below and watch a quick video of feed yard manager Trevor Peterson and his dog using their skills to get compliance from the cattle without causing any undue stress or harm to the animals. Trevor is passionate about animal husbandry and is always working with his dogs to develop new techniques that get the animals where they need to go with as little stress as possible. Trevor and the real-life cowboys that work at the feedlot put eyes on every cow, in every pen, every single day to make sure the cows are healthy, eating well, and the pens are all clean. One must ask the question; how to maintain the high standards and pass the knowledge along to the next generation? That’s where the men and women who run the West Texas A&M University meat lab come in. We had a chance to visit and meet with the professors and the students to learn about a lot of the cuts of meat, how the meat is graded ie; select, choice or prime. We also saw the kill room where the students have the opportunity to learn how to put the animal down quickly and humanely with the help and direct supervision of their professors that have decades of experience. It was nice to see the next generation learning both in the classroom and hands-on, the knowledge and the practical application of their most likely career after college, as a number of those students will likely work for Friona Industries at one of their many feedlots in Texas. 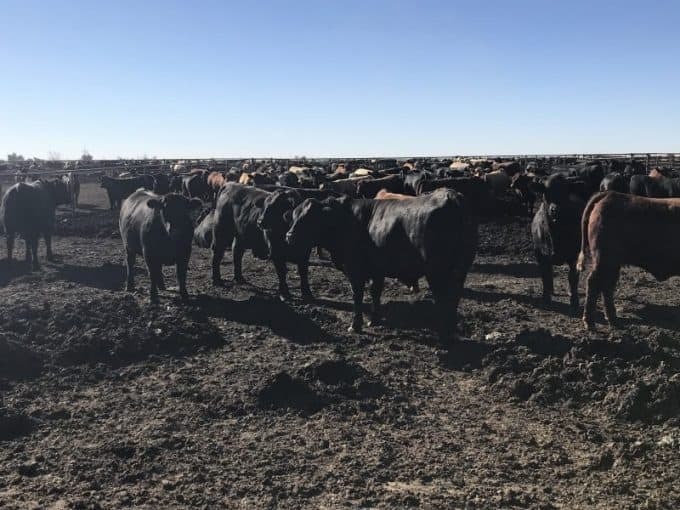 I hope my personal account of everything heard, saw, and tasted in Amarillo, Texas gives you some insight into the beef cattle industry in the United States. I know I love beef and I know we have one of the safest, cleanest, and tastiest beef supplies anywhere in the world. 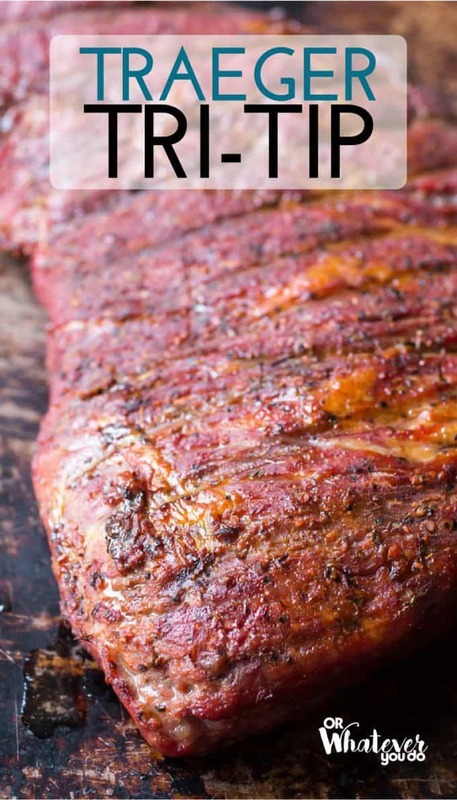 If you already love tri-tip, I know you’ll love this on a Traeger grill. 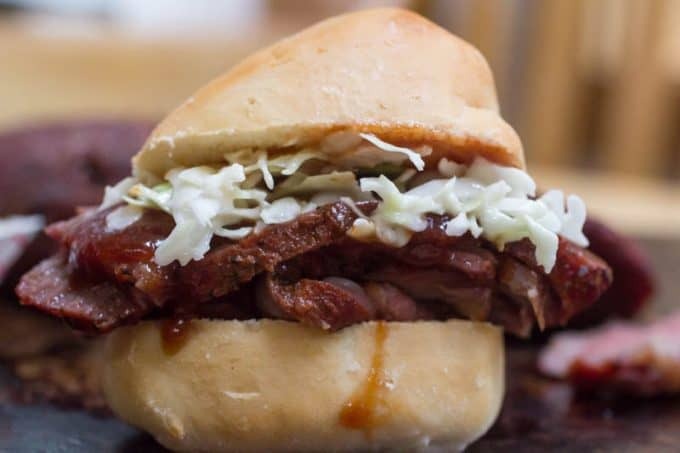 If you’re from Texas and you’re a little skeptical of the tri-tip, then this is the recipe to win you over. 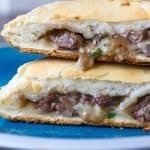 "Quick" and easy barbecue recipe that you can make for dinner on a weeknight. 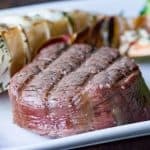 Delicious cut of beef that is tender and juicy and cooked medium-rare. Preheat your Traeger to 250. 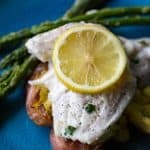 Cook for 30 minutes, flip, and cook for an additional 30 minutes. 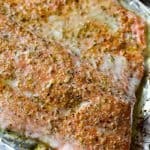 Turn the grill up to 350 and cook an additional 20-30 minutes. Pull at 140, rest for 10 minutes, slice against the grain and serve. Based off your pictures, you cut it wrong. 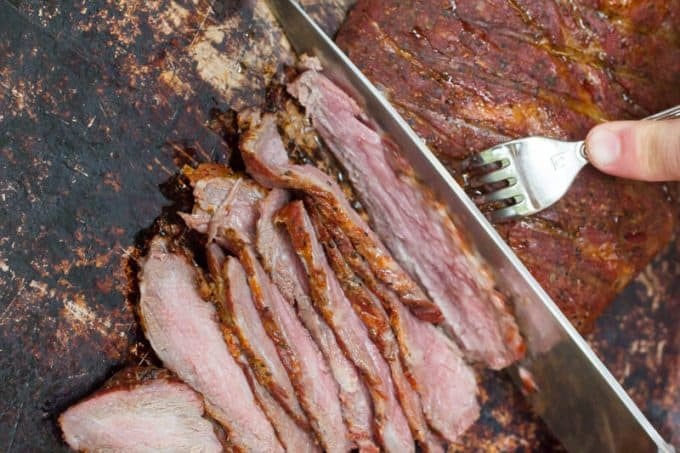 Tri-tip has 3 different grains so you cut it into 3 different parts. Then cut those against the grain. Also, it should take roughly a hour at 300 degrees for medium cooked meat. You can also smoke it for 6 hours around 200 degrees. Good choice of lean meat at 5.99-7.99 per pound in my neck of the world though.